During monsoon the correct car insurance can help us immensely in providing financial assistance for timely repair of the car. A balance of the correct add-on covers in insurance along with some precautions like mentioned below can ensure your safety and also of your car. 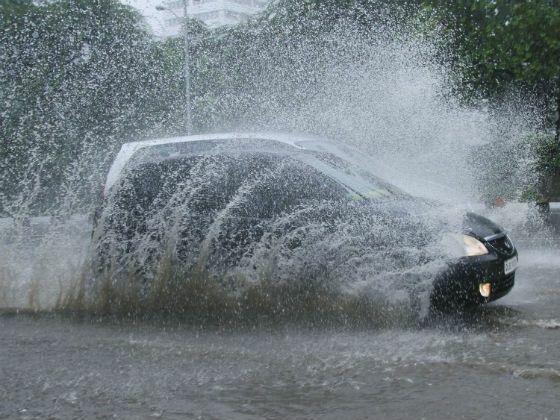 • Avoid driving during heavy showers or through flooded water unless absolutely necessary. While driving through flood water, it is wise to drive on the highest part of the road if it is safe to do so. • Avoid driving through water if when not sure of the depth. Severe engine damage can happen if water enters the engine air intake system. • Avoid driving through flood water if another car is travelling in the opposite direction. • Drive your car at a speed which is sufficient to avoid engine stalling and select a low a gear while maintaining constant acceleration. • Check the brakes for functionality as it can be impacted if the flood water enters. Do make sure it is functioning properly before driving the car further. • Check the radiator fan motor for proper functionality as it might also be damaged due to flood water. Please ensure it is functioning correctly before driving your car further. • Should your car stop, avoid cranking it since that may damage the engine. Push the car to one side of the road and call your mechanic; let the motor mechanic check it. • Avoid locking the car doors centrally since there might be a possibility of them not opening in the event of an electrical short circuit. Keep a heavy object like a hammer – it may be useful to break the glass if the door locks get stuck due to short circuit. Breaking window glasses is easier than the front windshield which is laminated. • If water enters the passenger compartment, do not turn on the ignition since there might be a possibility of short-circuit in the electrical system the moment ignition is turned “ON” even without cranking the engine. This may cause more damage to the car. • If the car has been stranded in a flooded area for a long time, record the highest level of water exposed to the car since this will help the garage technicians to evaluate the extent of damage and help in taking required steps to correct the damage. • Contact your garage experts and let the professionals examine your car.